Australia is ranked among the top 10 when it comes to the number of newly awarded CFA charters. Despite the recent global weakness in financial market especially in the mining industry, Australia remains resilient. Whether you are a research analyst, portfolio manager or other professionals in the finance and investment community, the demand for CFA is still strong in this country. 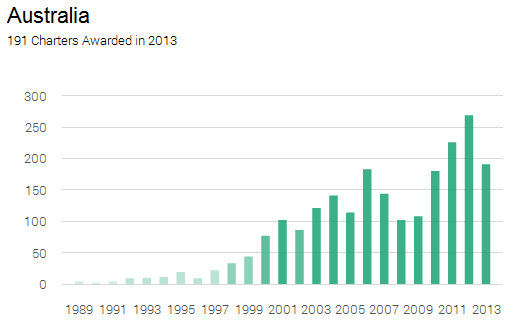 Except for the notable drop during the financial crisis, Australia is experiencing a strong upward trend in terms of newly awarded charters every year. 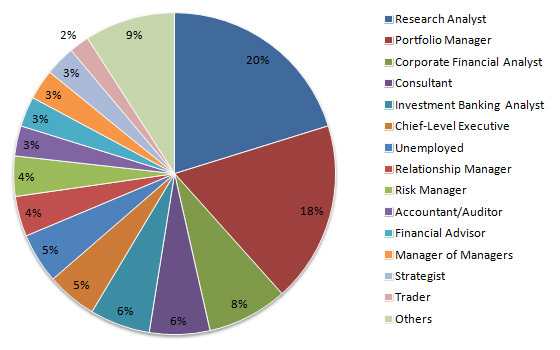 The most popular professions among CFA in Australia are research analysts and portfolio managers. This is the case in other major financial markets around the world. The stronger representation in research is due to the fact that some industry specific analysts (e.g. for mining and natural resources) work in Australia. Other CFAs are working as corporate finance analysts, consultants, investment bankers and various roles in senior management. CFA Institute features a successful CFA around the world. Peter Wilmshurst, CFA is from Melbourne, Australia. Earning the CFA charter helped Peter break into the competitive and global investment industry. The process of becoming a CFA in Australia is the same as in other countries. First of all, you need to have a bachelor degree or 4 years of experience to get eligible for the CFA exam. You will also need a commitment to study 250+ hours per year to take the 3 levels of exam. After joining the CFA program, you can schedule your first exam (Level 1) in either June or December. Level 2 and 3 are offered in June only. This means that you can technically pass all the exams within 18 months at the earliest, but on average successful candidates take 4 years to complete the program. You can accumulate the 4 years of experience before, during or after the CFA exam. Candidates can take the CFA exam in Melbourne, Perth and Sydney in June, and either Melbourne or Sydney in December. There is an option of taking the exam outside of Australia, in case you are working aboard or want to get done with the exam urgently. This pages summarizes the locations of testing centers by country. You may want to check out our popular FAQ page . If you want to jump in the CFA program now, this page is a great place to start.